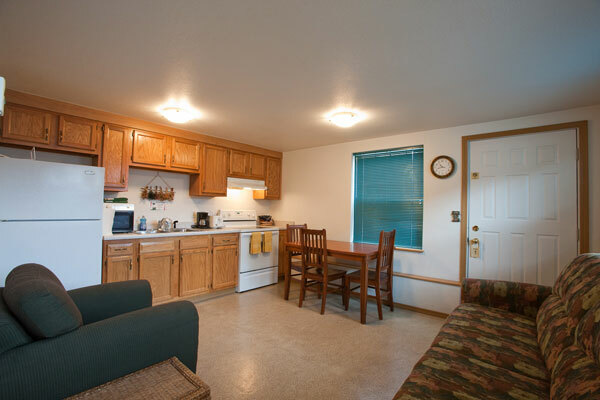 The Harborview Inn is proud to offer rooms, suites and apartments tastefully appointed with all the amenities you need for an extended stay in Seward. 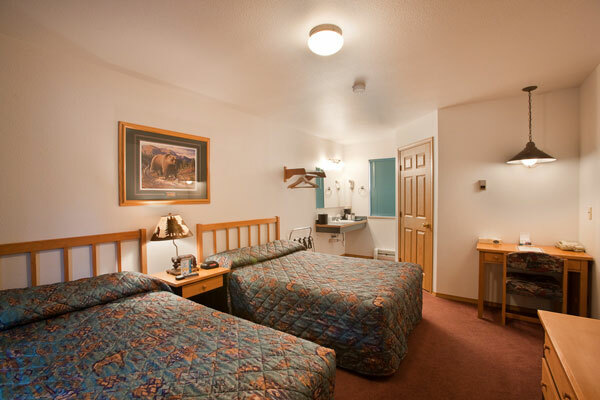 In addition to the stunning view of the mountains, each suite and apartment features a full kitchen, cable television, and many pampering amenities and features. 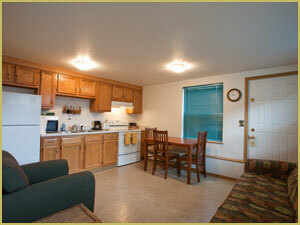 Our Sea View apartments also feature an outdoor barbeque and lawn chairs for the ultimate 'home away from home'. 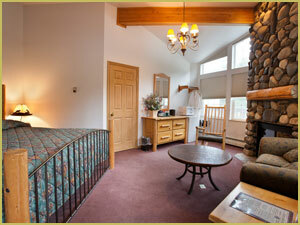 For additional information on our hotel features and services, please view our Amenities page. 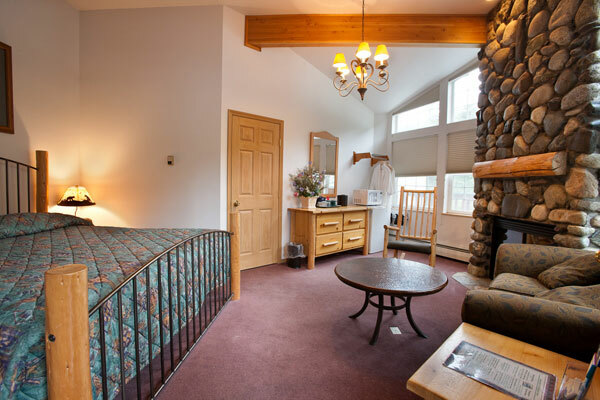 The King Suite has a river rock gas fireplace with remote control, hand peeled log king-sized four-poster bed, two person shower, cathedral ceilings, with windows all the way to the peak and spa bathrobes. 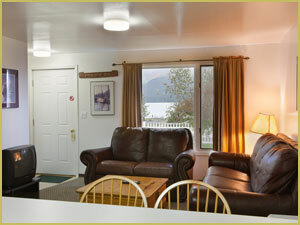 A large unit perfect for a large family or small group traveling together. Formerly the King's residence, this unit has 4 bedrooms, 2 full baths, and can sleep up to 8 guests. 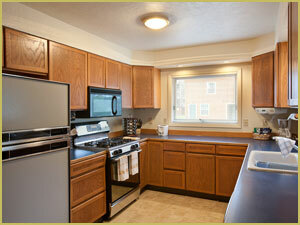 There is a large living room, kitchen (fully equipped including dishwasher), dining room, and washer/dryer. 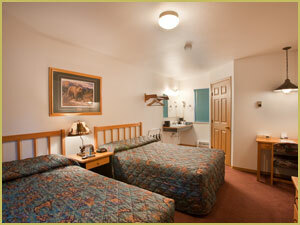 For our standard rooms you have a choice of either: one queen, two doubles or one queen plus one single bed. 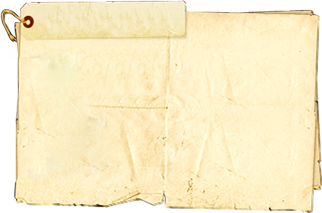 All of our standard room amenities are included. Our popular C Street apartment is a one-bedroom apartment located at the Harborview Inn facing C Street, with a double bed in the bedroom and a twin sleeper sofa in the living area. This apartment is perfect for up to 3 guests. 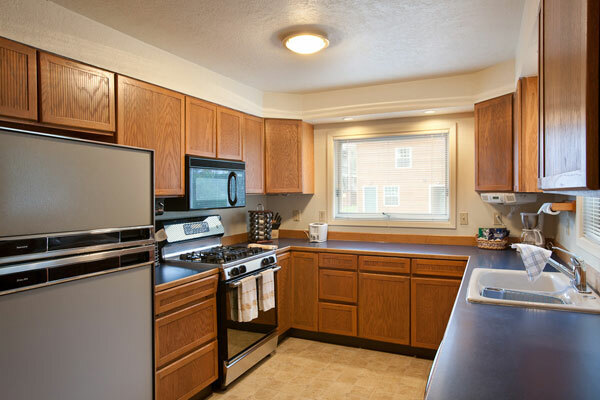 The unit also has a fully equipped kitchen. A small duplex unit located on Ballaine St., a few blocks from the Inn. 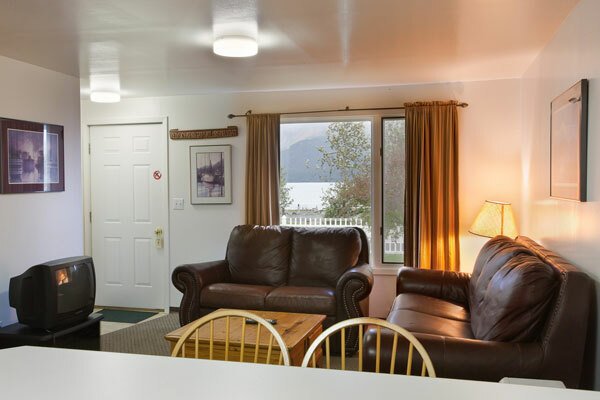 These are two-bedroom units with a view of the bay and mountains; the perfect answer to a family of 4 or two couples traveling together that need that special "home away from home". Each apartment has one bathroom, two bedrooms (1 queen bed and 1 double bed), full kitchen, barbecue and lawn chairs outside.